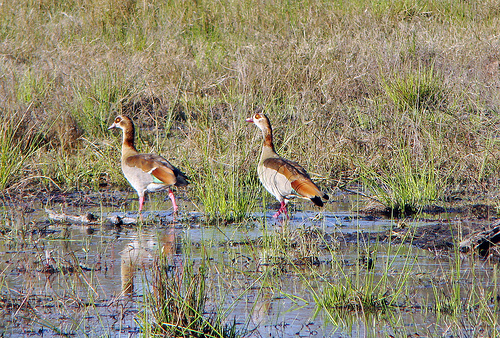 The Egyptian Goose is a relatively new species in our region. It will likely continue to increase in numbers. 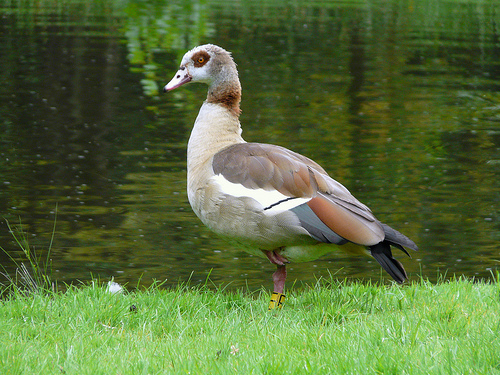 When you see a goose in a tree, it is almost always an Egyptian Goose. With much noise it will defend its nest or young against a possible enemy.